Older than written language, source of light, heat, food, medicine and perfume, the olive is said to be over six thousand years old. And that is just its cultivation history. The tree’s ancestor, found in Italy in fossilized form shows it to have been around for 20 million years. Athena’s gift to Zeus, the branch brought back by dove to Noah’s ark, long used in ceremonies of purification and blessing, the olive has long been a symbol of peace and glory. 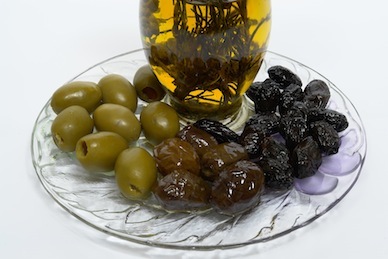 We know the olive today as a savory health-giving fruit, the oil as ideal for dressings, marinades and cooking and the leaves for their medicinal qualities found in various tea blends. In addition to all its ancient and present uses, the olive is now being championed by the Green movement as a renewable energy source and superb source of fuel, able to give off 250% more heat than wood. Here is a poem that takes us beyond the pure visceral pleasure of eating olives, by American poet A.E. Stallings. Full of the golden past and cured in brine. A.E. Stallings, this year’s recipient of a ” target=”_blank”>MacArthur Foundation Fellowship, is the author of two collections of poems, Archaic Smile which received the 1999 Richard Wilbur Award and Hapax, awarded the 2008 Poets’ Prize. 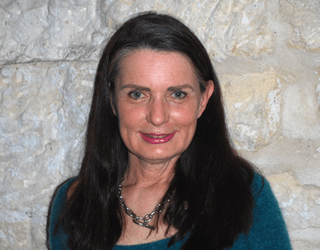 She has also earned a Pushcart Prize, the Eunice Tietjens Prize, a Howard Nemerov Sonnet Award, the James Dickey Prize, the Willis Barnstone Translation Prize, and a Guggenheim Fellowship. She lives in Athens, Greece. This poem was first published in The New Criterion in June 2006.